Great Cruise Ships and Ocean Liners from 1954 to 1986: A Photographic Survey by William H. Miller Jr.
We’d love your help. Let us know what’s wrong with this preview of Great Cruise Ships and Ocean Liners from 1954 to 1986 by William H. Miller Jr.. 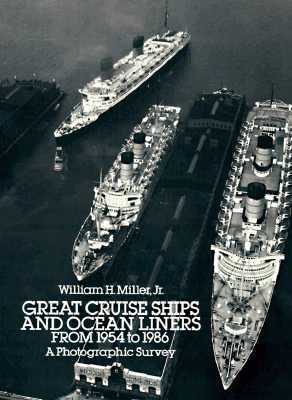 Preview — Great Cruise Ships and Ocean Liners from 1954 to 1986 by William H. Miller Jr. Fascinating pictorial record of the last of the great ocean liners and rise of luxurious cruise ships. Interior, exterior views of Song of Norway, Rotterdam, Oceanic, Liberte, Queen Elizabeth, QE2, Queen Mary and scores of others. To ask other readers questions about Great Cruise Ships and Ocean Liners from 1954 to 1986, please sign up.